With the shuttle fleet due to retire and the Constellation program — which was going to give NASA an option in deploying personnel to orbit and beyond — entirely scrapped, all eyes have been on what NASA will work on next. The agency has the answer. The Next Big Thing for the space agency, at least in the works at the moment, is a prototype spacecraft that will be equipped with a solar array and an electric rocket for propulsion. It will be unmanned and won't have a test flight until 2014, but the solar-electric rocket will help NASA (and the private companies vying for a spot in space) determine the viability of alternative means of propulsion. The Solar Electric Propulsion mission will see the craft test out an automated evasive maneuver system that will have take it to a dead satellite and — if all goes well — the craft won't just run right into it. After that, the solar-electric rocket will travel to a near Earth asteroid and use an array of scientific tools to study it. NASA has three other missions planned in the near future. 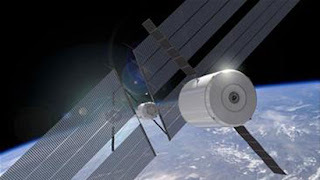 One is a satellite that will launch around 2015 full of cryogenic propellants and test out its ability to transfer that fuel from one craft to another, which could be a useful way to gas up spaceships in the future. Another is an inflatable habitat — much like the ones we've seen from Bigelow — that will be attached to the International Space Station in 2016. The last of the bunch sounds the most challenging: NASA wants to improve its ability to land "large loads" on Mars sometime in 2018, as right now the space agency wouldn't be able to safely deploy the kind of materials necessary for a human presence.